Born at London, England in 1871, he taught at Brandon and received a BA degree from Manitoba College in 1898. He was the Principal of Glenboro School (1900-1902) before being appointed Principal of Aberdeen School in 1903, and serving there until 1937. 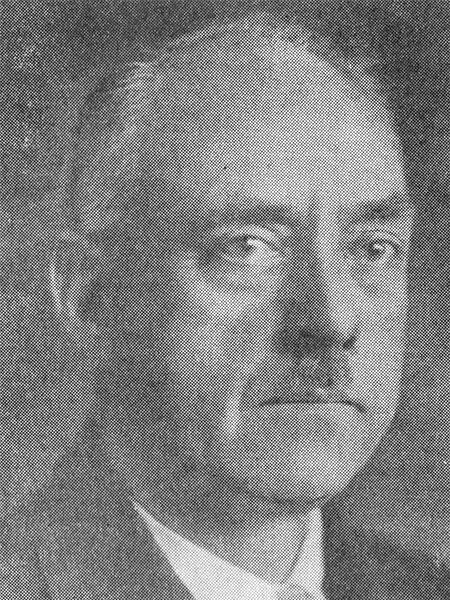 He was Secretary of the Manitoba Educational Association (1906-1907), President of the Manitoba Teachers’ Federation in the 1930s, and President of the Manitoba Teachers’ Federation (1929-1931). He died of heart failure at Winnipeg on 21 March 1937 and was buried in the Elmwood Cemetery. Souvenir Programme, Golden Jubilee, Aberdeen School, 20 November 1942. “Historic school recalled” by Vince Leah, Winnipeg Tribune, 23 December 1972, page 6.